As I said in my previous posts in this series on 'Improving Comprehension', we need to encourage ‘deep’ reading. For the reading of literature we want children not only to be able to read the words and follow a basic narrative plot, we want them to grasp the richness of characterization, the devices the author uses to create mood and tension, the intent and purpose of the writer and the language devices employed; all the while being moved by the text and able to reflect and respond critically to it. When reading non-fiction we want readers to be able to understand what it is that the author is seeking to communicate, to learn from the reading of the text, to use the text for varied appropriate purposes, and to be able to critique the accuracy and truth of its content. In any act of reading prior knowledge is important. Research on Schema theory in the 1970s by Richard C. Anderson and his colleagues and students at the University of Illinois taught us a great deal about the way in which the interplay of prior knowledge stored in memory and new knowledge given prior to reading can help reading comprehension. The origins of Schema Theory can be traced to the work of Frederic Bartlett and his classic work 'Remembering: A Study in Experimental and Social Psychology' (1932). Schema Theory suggests that readers require prior knowledge to comprehend a text. This knowledge is organized within memory and needs to be accessed during reading. Information and knowledge is stored in schemata (the plural for schema), which readers access as they seek to relate what they know about a topic to the things that they are encountering and learning from a text. In essence, the brain creates frameworks to store knowledge and information that is related. In simple terms, if we were wishing to understand a short passage on cricket (the game) you would need to possess certain knowledge sets that help to make sense of it. 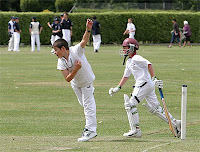 To understand the sentence, 'He bowled a maiden over', the reader would need to have knowledge of the game sufficient to help them know that to 'bowl' is to take a small ball and propel it along a strip of grass in an over arm fashion to a batsman without them scoring a run from a number of balls. As well, the reader needs to know that an 'over' is the way we describe a set of 6 successive deliveries of the ball (being bowled). That a 'maiden' is the technical term for an over where no runs are scored and so on. Schema theory suggests that such related knowledge is stored in a specific schema or more likely related schemata that relate to games, cricket, sport etc. Our brain has at least two main types of schemata for reading: content schema and textual schema, including knowledge of discourse structure and conventions. It also seems that schemata have a number of functions including: a) helping us to assimilate new knowledge; b) helping us to judge what is important; c) helping the reader to make inferences; d) enabling us to summarize information; and e) assisting our searches of memory for relevant background knowledge. Comprehension of texts not only requires the reader to be able to read words, understand word meanings, and possess complex understanding of how language and texts work, it also requires them to possess knowledge of the world and successfully use it by activating relevant schemata. It is probably self-evident that if the reader possesses sufficient background knowledge and can access it efficiently, then comprehension will be aided. Researchers like Bransford (1979) have spent considerable time exploring how schemata are used as part of the reading process and offering insights into how they can be activated by readers increasing their ability to comprehend texts. One of the most commonly used strategies for priming prior knowledge with readers is the advance organizer. An Advance Organizers is simply a device that helps the reader to access efficiently relevant knowledge (stored as schemata). The term was coined by Ausubel (1959) who believed that the most important determinant of learning is what the learner already knows or brings to the task. The structured overview is one way to organize or rehearse information and knowledge to aid understanding. Used prior to reading a non-fiction text, the structured overview is a helpful way to aid comprehension. It may be used in many form including webs, concept maps, or outlines. The strategy can be used across the curriculum where reading and writing, learning and remembering are required [Example opposite courtesy of New Zealand Ministry of Education Online Learning Centre]. (ii) Spoken and written words - One of the simplest ways to offer an advance organizer is by talking about the possible content of a book. When we get children to look at the cover, read and discuss the title, and discuss the content that the story might be about, we are using an advance organizer. (iii) Diagrams and charts - examples of this approach include Venn diagrams and 'KWL' charts. Venn diagrams are overlapping circles (as used in mathematics) that can be used in reading to provide a content overview before reading. KWL charts ask the reader to outline prior to reading what they know about the topic and what they want to know. After reading they then complete the chart by writing what they learned. The KWL chart was first used by Ogle (1986) and can be useful when starting a new book or any unit of learning. Once students have been taught to use diagrams and charts in a group, they can be encouraged to use them with other students or independently. (iv) Discussion of related extra-textual material (e.g. photographs, music, video) - Another way to prime background knowledge and schemata is by using related material in addition to the text. This could include photographs that relate to the content, objects, music or even videos. The showing of a video version of a text prior to reading is one simple way to do this. This is particularly helpful if children are reading difficult texts that might normally be just beyond their developmental and language capabilities. If you are doing a unit of work on insects with grade 2, bring in a box of insects and allow them to observe them and talk about them prior to commencing reading and writing about insects. (v) Using drawing prior to reading - I have already suggested in a previous post how powerful drawing or sketching can be prior to the reading task. The 'Sketch to Stretch' Strategy and 'Map Making' are two examples that can act as Advance Organizers (as well as doing other things). Janet and Allen Ahlberg are amongst my all time favourite author/illustrator partnerships. For almost 20 years they created wonderful picture books for younger readers until Janet's untimely death from cancer in 1994 aged just 50. While Allan has continued to write good books, his best work was with Janet who was a masterful illustrator. Allan was born in Croydon (England) in 1938, but grew up in Oldbury just outside Birmingham. Even as a child of 12 years he wanted to be a writer. He trained to become a teacher in Sunderland in the 1960s, where he met Janet who he eventually married in 1969. Allan tackled a wide variety of jobs, ranging from postman to plumber's mate before serving as a primary teacher for ten years. Janet studied graphic design, which led her to become an illustrator. In the midst of an uninspiring job Janet asked Allan (a frustrated writer) to write a children's book for her to illustrate. This was to lead them to become one of most successful author/illustrator teams in the United Kingdom. 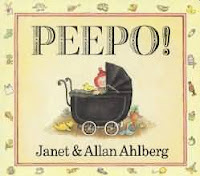 What sets Allan and Janet Ahlberg's books apart are the ingeniousness of their design, the simplicity of their story lines and their engaging qualities. Their early manuscripts were met with rejection slips from many publishers. Then in the one week, Penguin accepted 'The Old Joke Book', A & C Black took 'The Vanishment of Thomas Tull' and Heinemann accepted 'Burglar Bill'. In 1978, just three years after their first book was published Janet's artwork won her the Kate Greenaway Medal for the brilliant book 'Each Peach Pear Plum'. Clever use of intertextuality where their own narratives often wove their way in and out of well-known rhymes and stories (e.g. 'The Jolly Postman'). 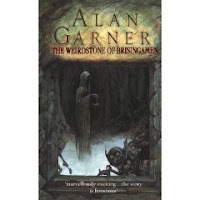 Allan also collaborated with other illustrators because his writing took less time than Janet's illustrating. Some of these other illustrators included Fritz Wegner, Andre Amstutz, Colin McNaughton, Faith Jaques, Joe Wright and Emma Chichester Clarke. One of his most successful collaborations was the creating of the 'Happy Families series' that have sold approximately 3 million copies. With titles like 'Mrs Wobble the Waitress', 'Mr Tick the Teacher' and 'Mrs Plug the Plumber' they capture the imagination of children. I can't help but wonder whether Allan's early life moving in and out of various jobs prepared him well for this series. Their daughter, Jessica was born in 1980 the year the 'Happy Families' book series was released. She was to become a great inspiration to their work. 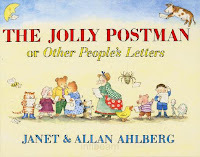 I can recall Allan sharing in the early 1990s at a conference how the inspiration for the 'Jolly Postman' was the fact that Jessica was always upset when they went to the mailbox and none of the letters were for her. So they wrote her a book that was full of letters. The text brilliantly weaves together various fairytale characters in a continuous narrative, while introducing readers to varied written genres - letters, a postcard, birthday card, letter from a solicitor etc. 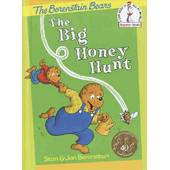 The book took five years to make but it won many awards, including the Kate Greenaway Medal and the Emil/Kurt Maschler Award. 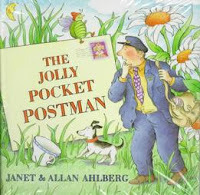 The sales of 'The Jolly Postman' and its successors, 'The Jolly Christmas Postman' and 'The Jolly Pocket Postman', have reached over six Million copies. 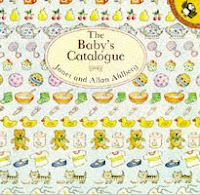 Jessica also helped to inspire 'The Baby Catalogue' which reflected their daughter's fascination with the Mothercare catalogue. This was how it was created, Jessica's had her own Baby Catalogue that she could read and re-read as many times as she wanted. 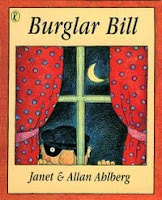 Allan and Janet also collaborated on books for older readers such as 'Burglar Bill', 'Cops and Robbers', and 'Funnybones'. Allan also wrote two very popular books of verse, 'Heard it in the Playground' and 'Please, Mrs Butler'. 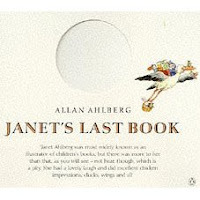 After Janet's premature death in 1994, Allan produced a beautiful tribute to her in 1997, 'Janet's Last Book'. 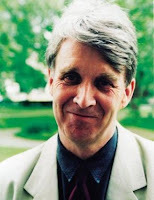 In April 1998, Allan moved to London. He continues to create wonderful books for children of all ages. 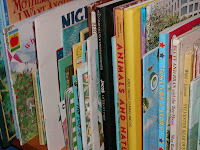 All posts on children's literature for this blog here. The recent debate about the 'My School' website in Australia has reminded me that it is far too easy to narrowly define education, educational achievement and intelligence. Education is about people and how we facilitate their learning and growth. If we narrowly define what counts as knowledge and how we define intelligence and learning then we will end up with a very narrow curriculum at school, narrow approaches to assessment and a very narrow range of experiences at home. We often hear people say, "wow he's smart" or "gee, she's intelligent". What do people mean when they say things like this? Intelligence is a very slippery concept (and it is just a concept) that is defined in many different ways. Generally, when people talk about being intelligent they mean general mental ability to learn and apply knowledge in one's immediate environment, as well as the ability to reason, think abstractly and solve problems. However, we tend to judge this in terms of a limited range of abilities that we can observe and measure; for example, language proficiency, mathematical ability and memory. While it is self-evident that society places greater importance on certain manifestations of intelligence, some have suggested that we have defined intelligence far too narrowly. It might just be that if we do continue to adopt limited definitions of intelligence that we will fail to recognise each child's full potential. Howard Gardner is famous for having challenged narrow definitions of intelligence. He has developed a theory that argues that intelligence, as it has been defined in the past, does not sufficiently cover the wide variety of abilities that people possess and demonstrate. He outlined his theory in his book Frames of Mind: The Theory of Multiple Intelligences (1983). In it he suggested that it isn't valid to say that a child who excels in for example, mathematical ability, is necessarily more 'intelligent' than another. The 3rd grade child who is always fastest at the 7 times tables may find it more difficult to complete more abstract mathematical problems, or indeed may be out performed by other children in the class in other areas of ability or intelligence. In his initial work Gardner proposed seven types of intelligence, but he stressed at the outset that we might be able to identify other forms of intelligence. The following are the foundational set of intelligences that he proposed. Linguistic intelligence reflects proficiency with spoken and written language in literal and metaphorical forms, the ability to learn languages, and the ability to use language to achieve varied goals (e.g. persuasion, humour, pleasure, communication). It can include the ability to use language to express yourself rhetorically or poetically and using language to remember information. He suggests that writers, poets, lawyers and proficient speakers are amongst those with high linguistic intelligence. Logical-mathematical intelligence is the capacity to analyse problems logically, carry out mathematical operations, and investigate issues scientifically. Gardner suggests that it involves the ability to detect patterns, think logically and reason deductively. This type of intelligence is associated with scientific and mathematical thinking and ability. Musical intelligence is characterised by skill in the performance, composition, and appreciation of musical patterns. It includes the ability to recognize and compose musical rhythm, tones and pitches. He observes (as other have) that musical intelligence often runs in parallel to linguistic intelligence. Bodily-kinaesthetic intelligence is the potential to use one's body or parts of it to solve problems. It is the ability to use mental abilities to coordinate bodily movements. Howard Gardner sees mental and physical activity as related (as have many psychologists before him). It involves a strong sense of timing, the ability to train responses to become like reflexes. The proficient mime artist, actor, gymnast and the dancer illustrate this type of intelligence. We'll see thisa demonstrated again and again at the Winter Olympics in Vancouver. Spatial intelligence is intelligence where spatial ability and judgement is necessary. It involves the ability to recognize and use the patterns of space. This is the ability to visualize with the 'mind's eye'. Gardner suggests that it involves the ability to discern similarities across diverse domains, and the potential to recognize and use the patterns of wide space and more confined areas. 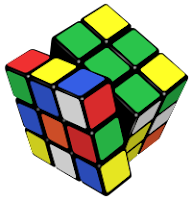 It is a form of intelligence that is demonstrated by the artist, designers, architects, mapmakers and the puzzle wiz. Interpersonal intelligence is the capacity to understand the intentions, motivations and desires of other people. People intelligent in this way read social signs well, interpreting verbal and non-verbal communication well, collaborate and work well with people of varied abilities. It is critical to allowing people to work effectively with others. This type of intelligence can often be found in effective teachers, salespeople, company CEOs, politicians, therapists, preachers and counsellors. These are people who know how to work with, lead and get along with others and use teamwork to full advantage. Intrapersonal intelligence is the ability to understand oneself, to appreciate one's feelings, fears and motivations. It involves the ability to act based on self knowledge, knowing your own emotional states, motivations, moods, desires and anxieties. Gardner suggests that these people have effective working models of themselves and are able to use this information to regulate their lives. 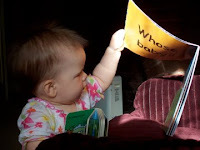 They can be introverted and seem to learn best independently. From the above list you should note that the first two have been typically valued in schools; and are of course the basis of the 'My School' assessment process in Australia. The next three are usually associated with the arts and the final two are what Howard Gardner called 'personal intelligences' (Gardner 1999: 41-43). 'Naturalist intelligence' (the ability to recognize, categorize and draw upon certain features of the environment). 'Existential intelligence' (a concern with 'ultimate issues', including spiritual awareness). 'Moral intelligence' (a sense of personal agency and personal stake, a realization that one has an irreducible role with respect to other people). When you start to consider intelligence in all its forms you begin to observe different things in children, encourage different things and value different things. Here is a simple illustration. I spend a lot of time with my grandchildren; all demonstrate their own forms of intelligence. My eldest grandchild Jacob demonstrates a number of Gardner's forms of intelligence including 'Spatial Intelligence', but the one that I find most interesting, and which is more difficult to observe, is Gardner's idea of 'Naturalist intelligence'. This has been given further exploration and definition since Gardner defined his initial set. It is the ability to observe the natural world and discriminate among living things and even features like the physical world (e.g. clouds, rocks and landscapes, clouds etc). This form of intelligence is associated with outstanding observation, and the ability to see the natural world from different (and sometimes new) perspectives. This is the type of intelligence that will be observable in the botanist and the naturalist, scientific researchers, architects, artists and the skilled farmer. Jacob demonstrates this type of intelligence in many ways. 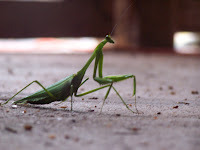 In his fascination with the unusual behaviour of all creatures, in his constant efforts to mentally identify and classify all types of living creatures (insects, birds, sea creatures), in his efforts to speculate and hypothesise about his world, and his ability to see things from new angles. The sketches below illustrate something of what I mean. The first was drawn when he was 4 years old and was done just after a trip to the Aquarium with me. 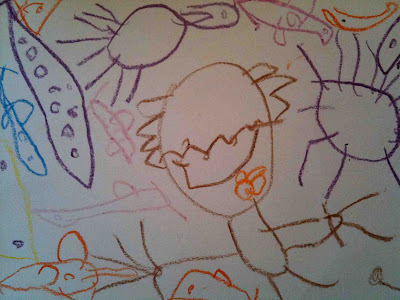 When he went home and drew the picture he explained it to his mother this way - it is "Grandad looking through the glass at the Aquarium". But notice the vantage point he has used for the drawing. He has given the perspective of the jellyfish, fish etc looking out at me, as I am looking in. The drawing is interesting in view of the varied species he shows, but more importantly it shows how much he is considering the natural world, even hypothesising what it might look like from another vantage point. In the next drawing below (which he drew to use as a name plaque for his room), Jacob is again experimenting with different viewing points, but this time aged 6 his drawing of the Dimorphodon (a prehistoric flying reptile) is much more complex, with two overlaid vantage points. 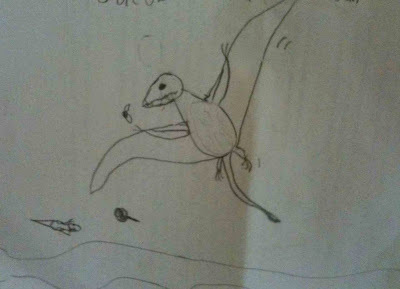 The artist is above the Dimorphodon but if you look closely at the bottom of the drawing you will see a tree (seemingly small because it is viewed from a distance) near a river, and another dinosaur (perhaps its potential prey). So while seeing the Dimorphodon from above, we also see what IT in turn sees below. While he doesn't quite orient the Dimorphodon's body to be viewed from above, his speculation and intent is clear. He is imagining what it might have looked like for the Dimorphodon to seek its prey, and tries to represent this by drawing it from above. He also shows an awareness that in nature, the size of anything is affected by the distance of the viewer and he is interested enough in this to include it in his drawing. The final drawing (left), also drawn at age 6, shows a Blue Tongue lizard that he'd observed that day and he drew it so that he could show me later. He draws a number of other creatures with it that he'd also seen in the backyard that day and labels them. 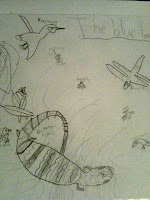 Most young children will draw animals from the side elevation and in a very 2 dimensional way. Jacob's vantage point (again) is from above most of the creatures, a vantage point that he cannot easily assume and one that for some of the creatures he has had to imagine. Note also how he has attempted to give three dimensions to the Blue Tongue lizard with its patterns curving around the body, and the legs oriented correctly as it slowly moves and begins to drag its tail out from underneath itself (note especially the different orientation of the back and front legs, and the inside and outside legs back legs). This is sophisticated and accurate observation. It is far too easy to view intelligence narrowly and in the process to limit our expectations of what children can achieve. Good teachers encourage their children to explore all forms of intelligence and show that they value them as they look for new areas of learning and different demonstrations of intelligence.